Installation of a Driveway Snow Melt and Ice Melt System also known as a Radiant Heated Driveway and Radiant Heated Walkway should always be performed by a company authorized by the product's respective manufactur­ers and not by some online third party vendor or reseller. Lets face it, if you keep an eye on the weather patterns over the last 5-7 years there would seem have been a slight shift in the weather band throughout the winter, it cuts right up from the East Brunswick and Red Bank NJ right up through Northern New Jersey and across to Long Island. The Ohio band with additional help from the Great Lakes can bring a lot of heavy snow from East Brunswick to Rockleigh NJ up through Morristown and through Westchester and across to NYC to Long Island. Should you live on Long Island, when the snow hits, it hits a bit harder due to the picking up of water from the warmer waters of the Hudson, the offshore Atlantic waters or from the Long Island Sound during a nor'easter... So yes the snow on Long Island from Valley Stream to Montauk is a bit.... saltier.. but still a problem. 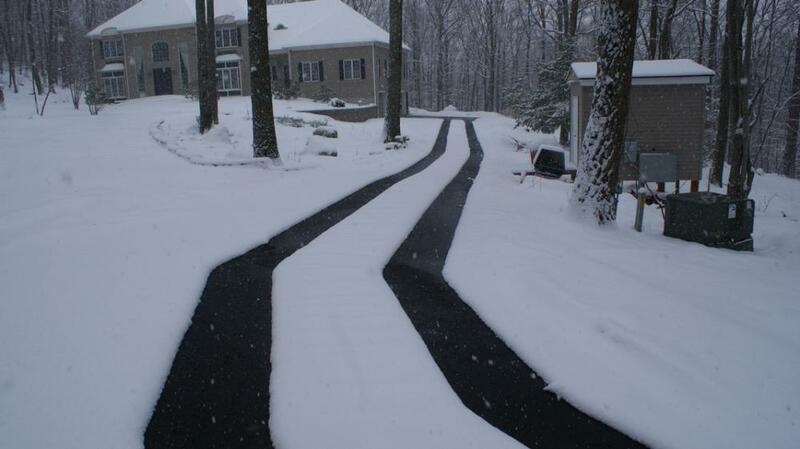 Our Radiant Heated Asphalt Driveways, Radiant Heated Paver Driveways and our Radiant Heated Walkway installations are designed to keep your driveway and walkways clear of snow or ice, even with snow fall rates of up to 2" an hour. 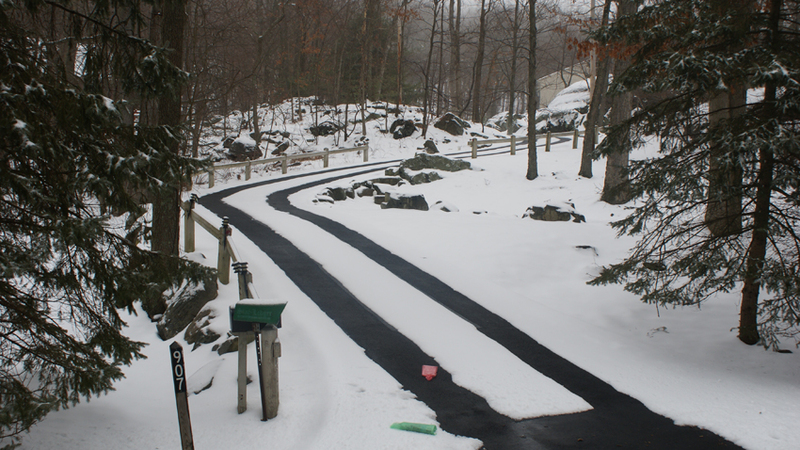 You may only be considering a new heated asphalt driveway, perhaps you're upgrading to a new heated Paver Driveway, perhaps even a new heated Tar and Chip (also known as Tar and Stone driveway). The installation methods vary, but the workmanship does not. We are trained and authorized to install every major Radiant Heated Driveway System worth installing and owning. Snow melting and Ice melting of a driveway requires a knowledge of masonry, asphalt, excavation, milling, electronic controls, encapsulation techniques, an excellent electrical background, construction techniques and finally an attention to details from conception to construction and through to completion without compromising any details for our client. A properly installed Radiant Heated Driveway installed will most definitely provide you and your family a safer, more enjoyable winter.